My world is blanketed in fluffy snow. My wind chimes are tinkling in the slight wind. My tea is hot. My Christmas tree lights are glowing beside me. I feel content and reflective. Christmas time (and the end of the year) is a great time for reflection. Reflection on deep and lofty thoughts, such as the birth of the Son of God as a man over 2000 years ago. Lighter reflections on things like traditions, the weather and the cost of gas. And middling reflections on where you have been and where you are headed. As I reflect over this past year, 2013, in a scholastic sense, I am surprised and gratified. We have done good. The longer I home school, the more I feel like this is the perfect job for me. It is honing my teaching skills and allowing me to use the gifts and desires God has given me. It isn't all chocolate and flowers and sunshine. (bummer!) There are gray days, and grayer weeks. On rare occasions, the mental and physical and emotional exhaustion threatens to overwhelm me. But, the overall aura is one of contentment and challenge. Peace and enabling. Busy but no longer hectic. As I look over 2013, spanning halves of two different school years, I am so thankful to God. I am thankful that I have a middle-schooler. It is more challenging in some ways and more enjoyable in some ways. I am thankful for a K/1st grade student who learned to read. But more than that, she has caught the joy and love of reading. She devours books these days. Chapter books. Picture books. Anything she can find. I am thankful for a 3rd/4th grader who has learned to write in cursive and does it very nicely. I am thankful the boys were able to attend a real school while we were overseas. Albeit for a few days. It was a fun experience for them. I am thankful that God gives me nudges when I am on the wrong path and shows me there is another way. Even in things like math and handwriting. And home school styles. I am thankful for the switch to our Barefoot Hippie hybrid of unit study/traditional/classical education modes of schooling this year. I love listening to the lectures on history with my kids. I love digging deeper into the life styles of the people of our time period. I love learning about the artistic styles of the men and women of this period. I love learning their poetry and practicing their art. I love learning via hands on experiments why science works the way it does. Did I mention that I am thankful for washable crayons and the 2 year old who wields them? And that they scrub very easily off walls? I am thankful for all we have had the privilege of learning, and all the progress we have made. I am thankful that we were able to spend a month in the Asia Pacific region last winter, which enlarged our view of the world and some cultures the way book learning never would have. I am thankful for in classroom learning and learning that takes place beyond these four walls. Both are necessary components of any education. I am thankful for a network of home schoolers that I have had the privilege of interacting with-both IRL and online. I appreciate the wisdom my co-linker-uppers have shared on each topic each week. It is often confirming, but it also opens my eyes to other possibilities for bumps in the road. I am thankful for each mom who is just a step beyond (or WAY more) me and shares their experience. I am thankful for those in the trenches with me. Reflection is about looking back and then moving forward. I don't see many radical changes in our approach come the new year. This is working very well. I did my shoring up a bit earlier this year when I switched up math for two kids, and added hand writing. We may shake things up a bit in late February or March to deal with lethargic-ness, but we'll see. As for our weekly home school posts, this is the last one for 2013. And, as for 2014, I am not sure what that will hold for this column. Would you like to see it continue? 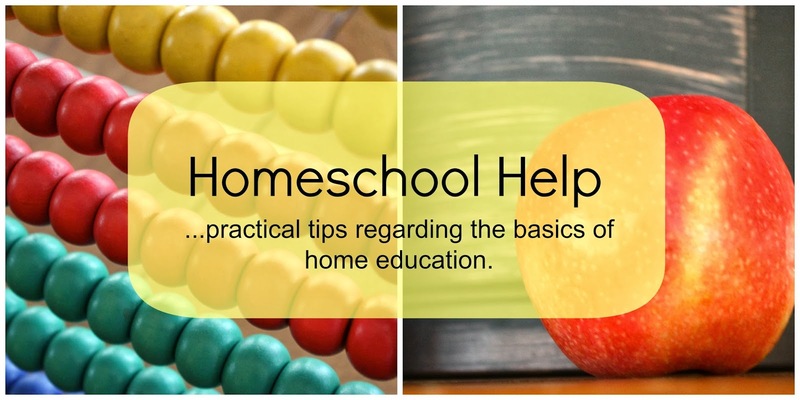 If so, what home school topics would you like us to cover? 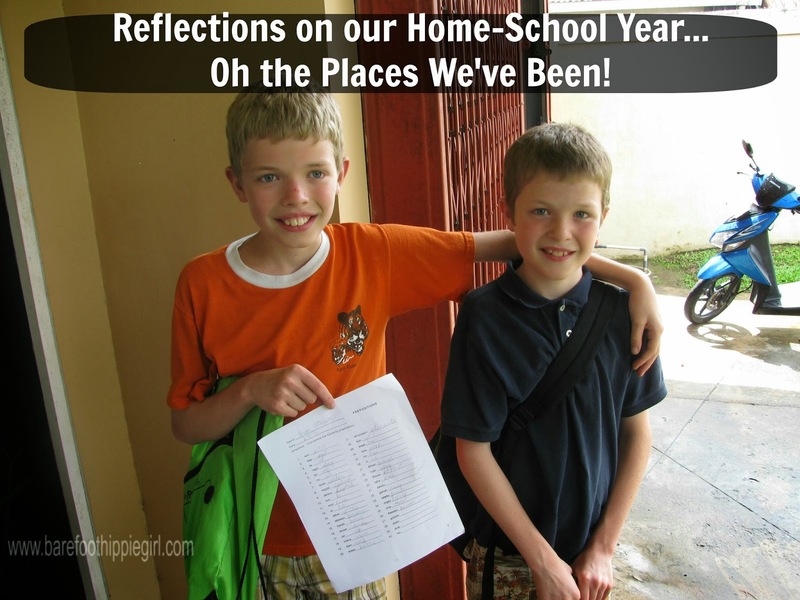 As you look over you home school year to date, what are you truly proud of? Does anything need some shoring up?